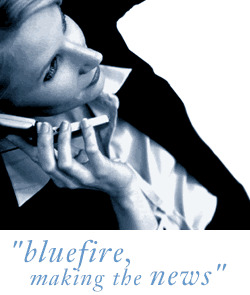 Bluefire Consulting | Maintenance Engineer : engineer "17th Edition" maintenance PPM controls pnumatics hydraulics refrigeration Kent Tonbridge "Tunbridge Wells" Maidstone"
Job Title:Maintenance Engineer Location:Tonbridge, Kent Salary:£28k (dependent on experience) The Role Bluefire Consulting are recruiting for an experienced Maintenance Engineer to oversee the machinery, premises and projects of a manufacturing company based near Tonbridge, Kent. * Routinely servicing and conducting planned preventive maintenance on all items of machinery including pipework, refrigeration and pressure systems, control systems and pneumatics. As a Maintenance Engineer you must be able to demonstrate experience of working on a range of machinery with a good knowledge of servicing, maintenance, fault finding and diagnostics. You will ideally possess a BTEC qualification (or equivalent) in an engineering discipline with a 17th Edition qualification being viewed as highly advantageous. Good diagnostic, communication and mechanical skills are also required. Our client is part of an international agricultural manufacturing group supplying the FMCG industry. From their base in Kent they have developed world leading quality and production systems which enable them to supply both large, multinational clients and smaller, boutique customers with their product. engineer "17th Edition" maintenance PPM controls pnumatics hydraulics refrigeration Kent Tonbridge "Tunbridge Wells" Maidstone"